This cute and easy crochet summer dress is using the chevron stitch. 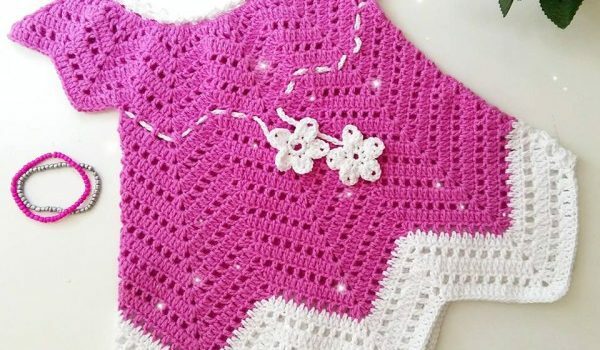 So if you know how to crochet this beautiful stitch this baby dress pattern is really easy. Baby Blossom Summer Dress designed by My Accessory Box comes with a written pattern diagrams and a video tutorial. 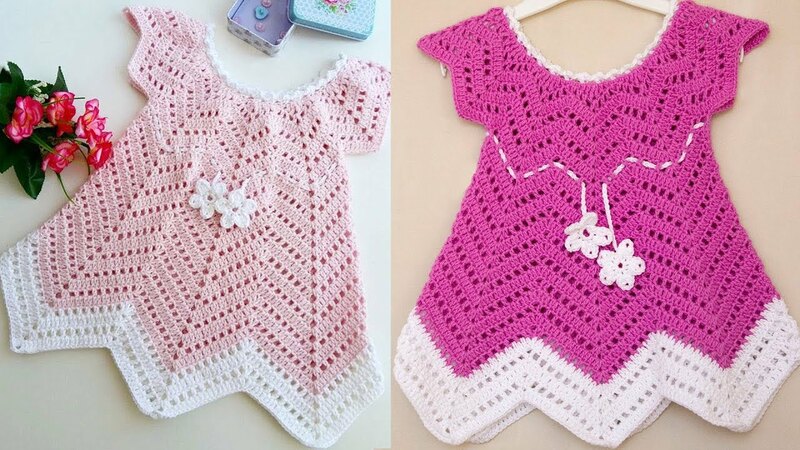 Newborn-12 months,24 months, 36 months,4 years- 6 years,7 years- 10 years,11 years- 16 years,S-M-L-XL-XXL.All you need to do is start each size with s different number of chains, which is also provided for each size. The awesome thing about this pattern is that it doesn’t require major sewing. If you choose to keep it simple you won’t need any sewing at all. [Free Pattern] This Larksfoot Inspired 12″ Granny Square Is Gorgeous!